With Chievo coming into our matchup on Sunday tied in 9th place while we sit comfortably in 3rd, one might think this match should be very cut and dry. But there is a reason Chievo are in 9th and our city rivals still sit in 16th. And it’s not because they are easy fodder. Having home field advantage may be our only real advantage. Well, that and wearing that Scudetto patch on our kits. But still, you never know what’s going to happen in a world where donkeys can fly. "So you've got wings and can fly. You really think that's gonna stop me?" Chievo are one of those teams who sometimes struggle with form, but come up big in the big games. Led by the evergreen Sergio Pelissier, they often surprise opponents and take points. If you don’t believe me, look who they are tied with on points: Napoli, Genoa, and Parma. Their record is 4 wins, 4 draws, and 3 losses. But more impressive are some of their wins - they beat Napoli, Genoa, Fiorentina, and Catania, and drew to league leaders Juventus. So you can bet they will be smelling blood as they travel to the San Siro this weekend. In the midfield were Luca Rigoni, Paolo Sammarco, Sequeira Luciano, and Michael Bradley (yes, that Michael Bradley, son of former US Mens National Team Coach and current coach of the Egypt National Team, Bob Bradley.) Starting up front were the aforementioned Pelissier and Cyril Thereau. Not only do they have some interesting footballing pedigree, but they boast a squad full of players who are really good, but perhaps not great, which may be one reason why they come to life in the big games. 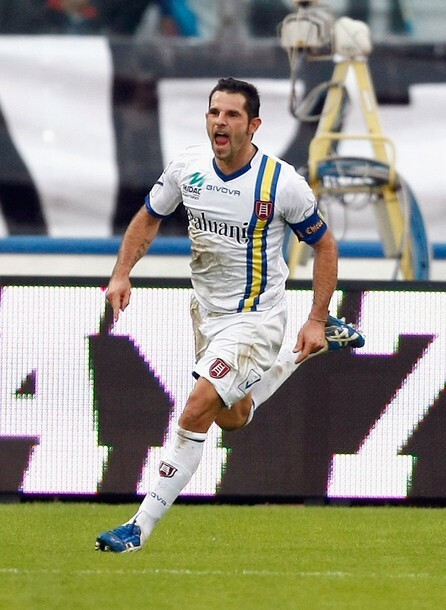 While we were giving Barca a run for their money, Chievo were beating Modena, 3-0 in the Coppa Italia fourth round. So they won’t be as rested as many of the other teams playing this weekend. But I can’t expect that to dampen their hopes against the reigning champions. I’m certain these donkeys wouldn’t mind circling in for the kill at the San Siro. As for Milan, I am still bursting with pride with their performance on Wednesday. But they will have to put that behind them and focus on the task at hand. 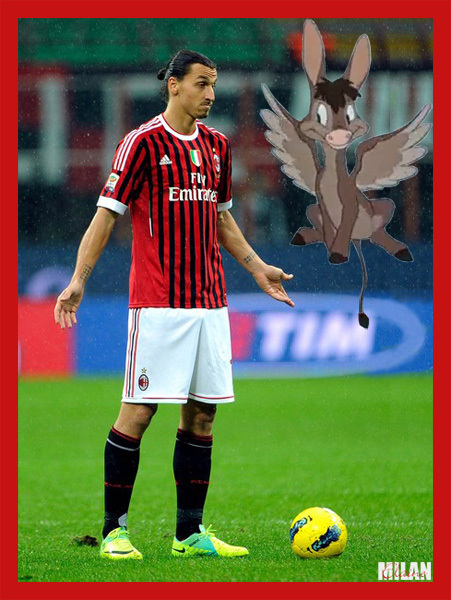 I know I say this every time, but please, Allegri, put Pippo in for some quality time! He has done everything you asked of him, and doesn’t complain like most football legends would. Do it for the fans, do it for me, just do it already! The man is a god. Heck, Seedorf will complain about being benched half a game, and you play him all the time! So if Super Pippo doesn’t start with Ibra, I would like Ibra and Pato to start up front, even if Pato is just coming back, with Boateng behind them. In the middle, I’m still loving Aquilani, Ambrosini, and Nocerino. And in the back, I would go with Abate, Yepes, Silva, and just play left back roulette. I choose Yepes over Bonera to deputize for Nesta because I think he’ll handle Pelissier better. Also because it’s his former club, and players usually step it up a notch or two against former teammates. Also, even if Mexes were back, he’s not match fit, so I’d still give Yepes the start. On the left, Antonini has been decent, Zambrotta will be tired, and Taiwo needs playing time but is still not consistent enough for me to warrant a start in a match like this. So I am not convinced of any of the three of them, thus leaving it up to Allegri to spin the left back roulette wheel. I often question some of Allegri’s choices as well as some of his late subs, but I really do trust him. He is likeable, funny, strong enough, yet humble, and he has led this team to his first Scudetto and now beyond. So I trust he will choose the squad that will ground these flying donkeys and take the full three points on Sunday. It won’t be easy, but then again, it never is when donkeys fly.